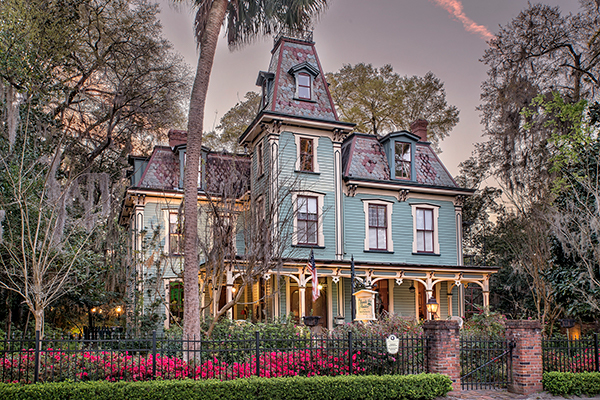 Cindy and Joe restored the 1885 French Second Empire Victorian Mansion to Magnolia Plantation and opened the Inn on May 3, 1991. Since then the inn has received many honors including: "Best Bed and Breakfast in Florida" by Florida Living Magazine and "Most Romantic Bed and Breakfast in Florida" by Most Romantic Escapes in Florida guidebook. The Inn and Cindy's recipes have been featured in a variety of guidebooks and cookbooks. Articles have appeared in such publications as Southern Living, Victorian Decorating Ideas, Florida Living and The Orlando Sentinel.